German engineering major Thyssenkrupp has won an engineering, procurement and construction (EPC) order for a new fertilizer complex from the Egyptian chemical and fertilizer manufacturer NCIC (El Nasr Company for Intermediate Chemicals). Thyssenkrupp is realizing the project in a consortium with the Egyptian company Petrojet. The order value for Thyssenkrupp is in the mid-three-digit million euro range, a company statement said. “We have a particularly successful partnership with Egypt stretching back more than 160 years which offers great potential for the future. Our longstanding experience in plant construction, our strong local presence and close collaboration with our customers form the basis for our success and strong market position in the region,” said Marcel Fasswald, CEO of Thyssenkrupp Industrial Solutions. 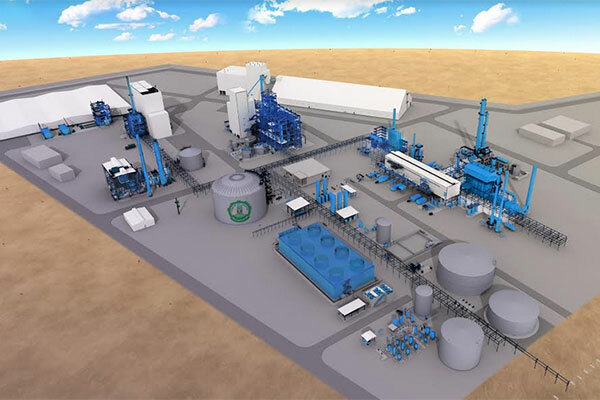 “To date we have planned and built 16 of the 17 existing nitrogen fertilizer plants in the country and are delighted that another state-of-the-art plant will now be added,” said Ralf Richmann, CEO Fertilizer & Syngas Technologies. The new fertilizer complex will be built in Ain El Sokhna, around 100 km southeast of Cairo, close to the existing NCIC phosphatic and compound fertilizer complex. It is expected to go into operation in 2022 and produce up to 440,000tons of ammonia, 380,000tons of urea and 300,000 tons of calcium ammonium nitrate (CAN) every year.